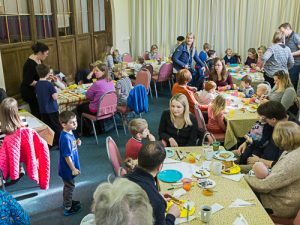 A children and families service complete with breakfast. We start at 9am and aim to finish by 9:45am. Everyone welcome, it is completely informal so no problem if you are bit late.